This book sets out to cover all the normal bench processes in a simple but informative manner which should help all who have come to enjoy working with metals but whose education did not include grounding in the basics of engineering benchwork. A practical guide to bearings - that common ingredient in working models. This Workshop Practice Series book explains the principles behind dividing for the model engineer. 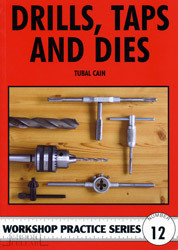 A guide to drills, taps and dies for the amateur. A hobbyists guide to repairing and working with electric motors. 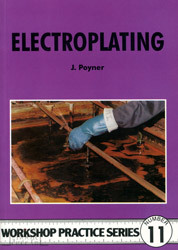 A guide to the process and practice of electroplating for the amateur. 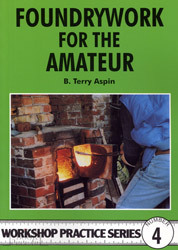 Foundrywork for the Amateur, by B Terry Aspin - Workshop Practice Series No.4, new from Special Interest Model Books. A guide to gears and gear cutting for the amateur enthusiast. A practical guide to the grinding, lapping, honing and polishing of metals. 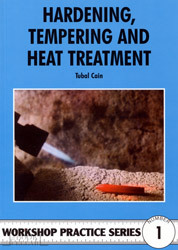 Hardening, Tempering & Heat Treatment, by Tubal Cain - Workshop Practice Series No.1, new from Special Interest Model Books.